While many doctors shun complementary medicines as being little better than snake oil, surgeons at The Alfred are learning to embrace several of them. After clinically testing a range of alternative therapies, The Alfred’s heart surgeons believe there really is method in what many colleagues had regarded as madness. They found the benefits of taking a concoction of fish oil, magnesium and other antioxidants was so profound they have adopted it for all their patients – together with massage, stress relief and other treatments. The hospital’s head of cardiothoracic surgical research, Professor Frank Rosenfeldt, said patients who used the complementary medication in the weeks and months before surgery recovered one day faster than the others, had reduced rates of heart rhythm problems and saved the hospital $4800 a patient in bed and medical costs. “We felt it was so clear, the benefits of this treatment, that we should give it to everyone at The Alfred who was having heart surgery,” he said. “And we are getting increasing acceptance from cardiac surgeons and orthopaedic surgeons, and we are gradually expanding the application of this therapy. Although she had never considered alternative treatments before, Ms Gordon took the supplements for six months leading up to a double bypass in October and has vowed to continue using them now she has recovered from surgery. The Alfred is completing results of the trial for publication, and has since undertaken a successful test in knee replacement patients. Professor Rosenfeldt said the research had been received warmly at international medical conferences and may be adopted at some US hospitals. Story taken from The Herald Sun, Friday December 1st 2009, Page 49. Written by Grant McArthur. It’s great to see that The Alfred have adopted natural medicine into their treatment protocol for heart patients. Next step will (hopefully) be to provide ALL patients with natural medicine to improve their condition. Short-term use of the fish oil, magnesium, CoQ10 and antioxidants resulted in 50% less atrial fibrillation and a huge $4,800 per patient. This is a impressive cost saving, and when you compare this to therelatively small amount spent on the natural medicine, the benefits faroutweigh the initial outlay. And when you consider that these heart patients had only been taking the natural medicine for 6 months, the health benefits are amazing. Medication like fish oil, magnesium and CoQ10 need to be taken over a long period of time for the effects to kick in. So if they had been taking these for a longer period, would there need to be any surgery at all? More research needs to be done, including a placebo-controlled double-blind study, however the results from this small trial are impressive. What’s even better is that The Alfred have gone out on a limb to try to help their patients – and the results have certainly paid off. Perhaps if they had taken the natural medicine for longer than 6 months, some participants may not have required hospitalization at all. The patients were treated with a range of natural medicines, including fish oil, CoQ10, magnesium and antioxidants. So how did they help? Let’s start with fish oil. Fish oil helps to reduce the risk of sudden death from cardiac arrhythmias, reduces triglyceride levels, decreases blood pressure and stabilizes the blood clotting mechanisms. Fish oil also exerts anti-inflammatory benefits, reducing muscle, tissue and cellular inflammation and, in turn, reduces inflammatory diseases that may contribute to cardiovascular disease. Overall, there are several pathways in which fish oil can potentially benefit the cardiovascular system, and everyone can benefit from supplementation. This research study goes a long way to making natural medicine more widely accepted by the community. 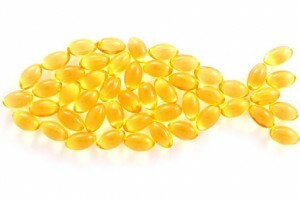 There have been many studies discussing the dramatic benefits of fish oil. One of the largest showed a 52% reduction of risk for sudden cardiac death – an amazing number percentage when fish oil was the only natural medicine administered. This 1998 study ran for 11 years and followed 20,000 male physicians. Specifically, it helped to prevent arrhythmias, lower triglycerides and slowed down the build-up of plaque in the arteries. We should all be taking a fish oil, and this is just as important for the little ones. 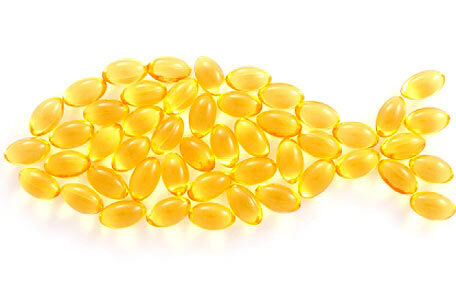 Fish oil improves cognitive developments, concentration and brain development. It has also shown to be an ideal, natural alternative to ADD/ADHD medications. Not all fish oils are the same, so make a wise choice and invest in a high-quality oil like those available on Emed’s Best Fish Oils. Including top brands like Bioceuticals (fish oil used in the study), these fish oils contain ideal ratios of EPA and DHA in an easy-to-swallow, anti-reflux capsule. CoQ10 has long been known for it’s benefits on heart health. This vitamin-like substance is crucial for the production of energy in heart cells, however statin drugs, alcohol, poor lifestyle choices and ageing stop the body’s production of CoQ10, so it’s important to supplement. CoQ10 boosts energy, enhances the immune system and acts as a powerful antioxidant. CoQ10 helps to prevent and treat heart disease due to its ability to improve energy production in cells, inhibit blood clot formation and act as an antioxidant. By scavenging free radicals (damaging compounds in the body that alter cell membranes, alter DNA and even cause cell death), CoQ10 stops the damage that they can cause, especially around the heart. For those with congestive heart failure, CoQ10 helps to reduce blood pooling, swelling, enhances breathing by reducing fluid in the lungs and increases exercise capacity – all factors that can contribute to the risk of developing heart disease. Anyone taking a statin drug, a history of heart disease or experiences lung disease/ailments MUST take a CoQ10. Refer to Emed’s Best CoQ10 Supplements for a full list of the best, most potent and effective CoQ10 supplements we carry. Every cell in the body needs magnesium. It is pivotal for muscle, nerve and tissue health and aids the body’s cells fend off stress. Essentially, it is one of the most important minerals for our body, however the majority of Australians are magnesium-deficient. Magnesium helps to relax the muscles and tissues of the body, enabling them to work better whilst under increased stress. Magnesium can restore the blood vessel’s ability to open up when the body needs more blood and enables the cell’s to fend off stress. Magnesium is also a powerful preventer for platelet clumping, keeping blood thin and fluid. Magnesium deficiency can lead to serious illness, like high blood pressure, diabetes, arrhythmia, atherosclerosis and heart attack, so it’s crucial that you begin supplementation now. Emed sells a great range of top-quality magnesium supplements that are formulated for fast relief and effective support. How much do you exercise? If the answer is ‘not enough’ or ‘not at all’, then it’s time to change your attitude. Regular exercise not only helps up look better, slimmer and keep the body fat percentage down, it also helps promote heart health and ward off disease and illness. Getting all you need from your diet? Chances are you don’t. Taking a great multivitamin everyday will ensure that your vitamin, mineral and nutrient needs are met. We sell a range of top-quality multivitamins on Emed that all contain great ratios of the essential vitamins and minerals you need for optimal health. Click here to visit Emed’s Best Multimineral/Multivitamin Supplements.